When the need is for highest quality, Hartford has the experience to provide the most robust and cost-effective design for your application, backed by a quality lab that is unsurpassed in the industry for its scope, capability – and reputation. Hartford is committed to providing quality products with a staff of highly trained bearing technicians, a Continuous Improvement Program that is widely respected, and one of the most advanced quality labs in the industry. Hartford Technologies follows the Automotive Industry Action Group standards for Advanced Product Quality Planning (APQP) which defines the required steps to ensure that each product satisfies customer requirements. Additionally, the Hartford Advanced Product Quality Planning process is applied to all new and recurring ball and bearings programs, and embodies the concepts of defect prevention and continuous improvement, rather than defect detection. This comprehensive process ensures that product design not only meets customer expectations, but promotes collaborative strategies that help design-out potential problems, boost productivity and optimize quality. Hartford Technologies can assist with all levels of the APQP process, from design recommendation, to rapid prototyping, pre-production parts and tooling, and full production. 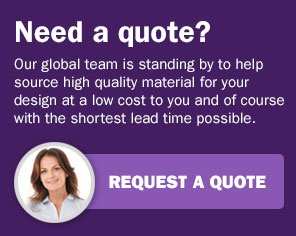 We’re committed to helping you get your product to market in the shortest time. The Hartford Quality Assurance System is threefold, encompassing the integrity of the material, the tools used in manufacturing, and the accuracy and repeatability of the inspection and measurement instruments used to test and verify specifications. Coordinate Measuring Machine – provides Hartford technicians with the ability to determine the geometrical dimensions of bearings and balls, including those with custom features. Laser Micrometer – exceptionally accurate, non-contact system, gives Hartford customers the advantages of absolute measurement accuracy and highest reproducibility for a wide dimensional range. Gauges – circular geometry gauge for roundness analysis; also bore gauges for blind hole measurement, height gauges, calipers. X-ray – for conformance-with-blueprint test, abrasion and wear evaluations, failure analyses. In addition, Hartford Technologies uses a high-speed, online X-ray system to inspect bearings running single file on a belt to verify proper ball count in each. Bearings containing too few or too many balls are rejected with air blast for analysis. Optical comparator – for precise comparisons to a standard overlay profile or scale. Tensile tester – determines ultimate tensile strength and fatigue strength. Top Right: Before parts are sent to bearing assembly, this Hartford quality assurance camera precisely measures for “out-of-roundness” on each bearing race. Any bearing race that is outside the minimum/maximum circle is rejected. The Hartford system operates at approximately 1,000 races per hour and is ideal for the high-volume bearing race programs for which Hartford is widely known. Middle Right: Hartford’s precision automated bearing assembly system has sensors that indicate the presence of balls, races, and separators, at 2,000 bearings per hour. It also measures installed height to assure the inner race is properly inserted into the bearing. Parts are rejected if any parameters are not met; parts that pass forwarded to x-ray inspection. Bottom Right: An X-ray vision system is integral to our automated bearing assembly system, which assures that all of the balls are present for each bearing. Bearings pass down a conveyor belt and enter the x-ray machine, which images the part. If all the balls are present, the bearing is accepted; if there is a missing ball, a burst of compressed air pushes the bearing off the assembly line and into a reject bin. Hartford Technologies is ISO 9001, IATF 16949 and ISO 14001 certified. 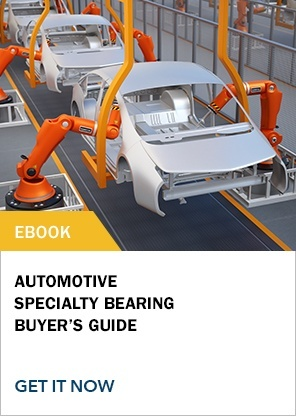 IATF1649, in conjunction with ISO 9001, defines the quality system requirements for the design, development, and production of automotive-related products. This important quality status designation, exceptional within the worldwide bearings industry, applies to balls, bearings and bearing assemblies produced at Hartford’s Connecticut facility, and to its manufacturing operations in Shanghai, China. Hartford is unique among ball and bearings manufacturers in subjecting all of its manufacturing operations to this single quality standard, which is regarded as the most stringent applied. ISO 14001 establishes criteria for an environmental management system, and assures customers and others in our supply chain that environmental impact is being measured and improved. All products are fully traceable from raw material through finished product. In addition to ensuring highest quality for every bearing and ball program, the Hartford quality lab can assist with product analysis and troubleshooting, evaluate bearings used in tests, or in the field, to identify design or material issues, and make recommendations for improving performance and service life.